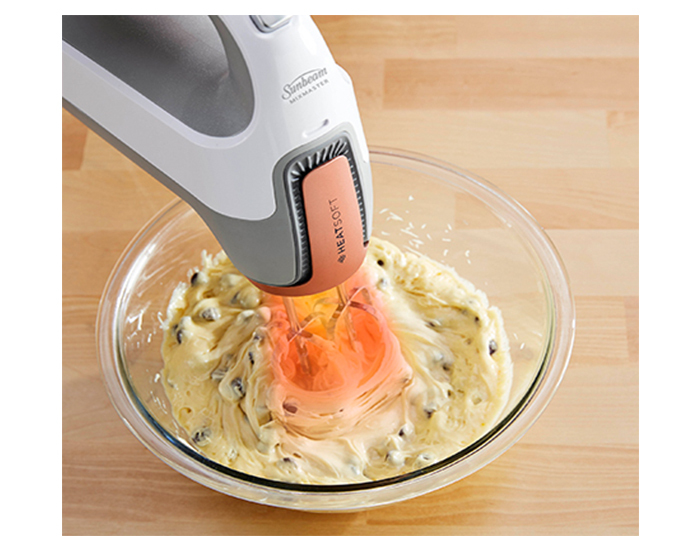 The patent-pending HeatSoft technology in the MixMaster® hand mixer softens cold ingredients bringing mixtures to ideal baking consistency*. It softens butter 12x faster** taking cold butter from fridge temperature to ideal baking temperature in only 2:30 minutes. For faster, fluffier and creamier cakes and cookies! Sugar, icing and dust can get into small gaps and holes. 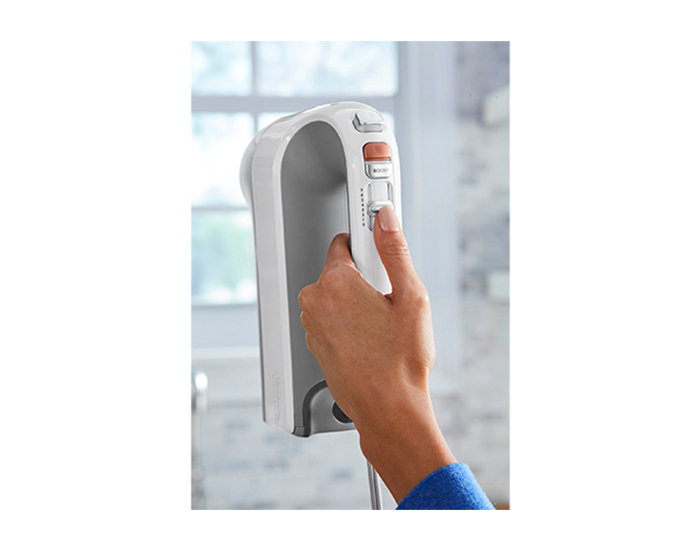 The magnetic nozzle removes for extra easy cleaning. 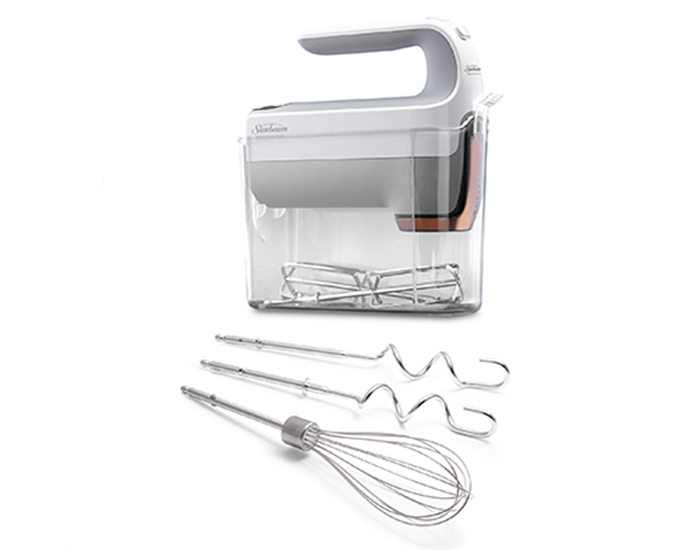 The mixer comes with stainless steel beaters, dough hooks and a whisk to complete a range of mixing tasks from beating and mixing, to kneading and whisking. 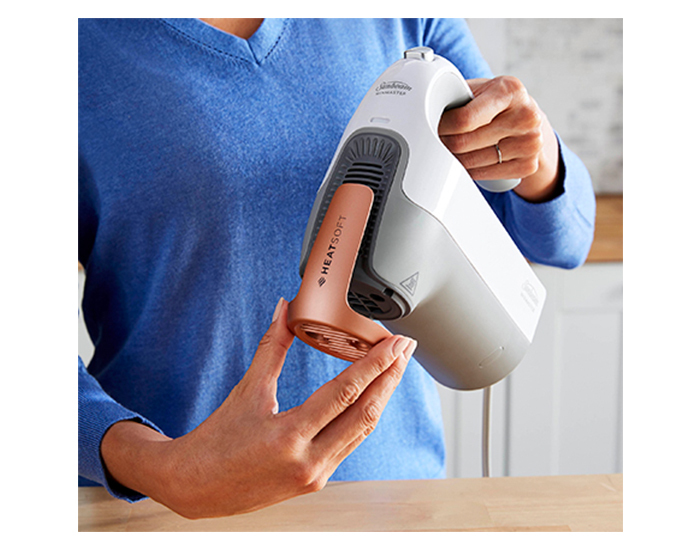 The hand mixer, all the attachments and the cord can be handily stored in the storage case to help keep cupboards neat and tidy. 7 variable speeds offer control and precision for delicate meringues to tough cookie doughs A burst of power button is ideal to handle thick batters.